Before you can import data from your meter, you will need to install the device drivers that came with your cable and then connect your meter to the cable. It is a 2.5mm mini plug. 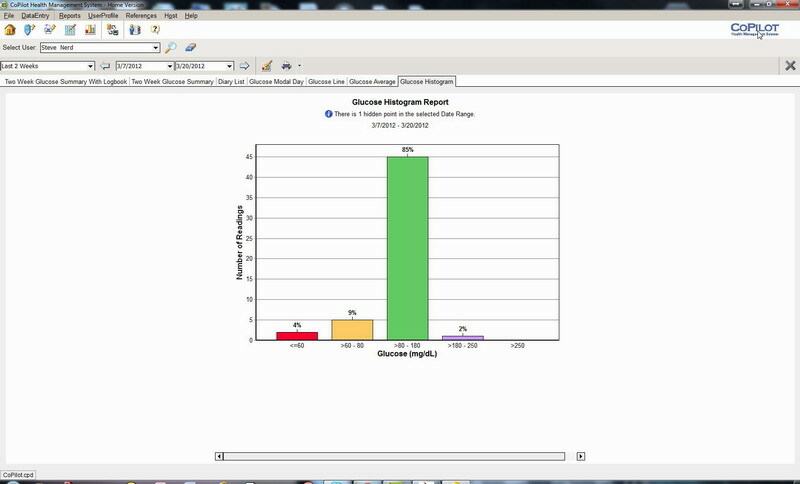 Our test meter, a FreedomStyle® Lite displayed PC when connected. It says PC when the cable is plugged in even if the USB side is not connected to your computer. Once connected you press the Read Device button on the programs Home Page and the data is transferred to your PC. On the first transfer you will be asked to assign the device to a user. It appears they read the serial number and assign each device to a specific user. I nice feature was CoPilot® tellijng me to check the time settings on my meter. I had forgot to change the time for day light savings time. 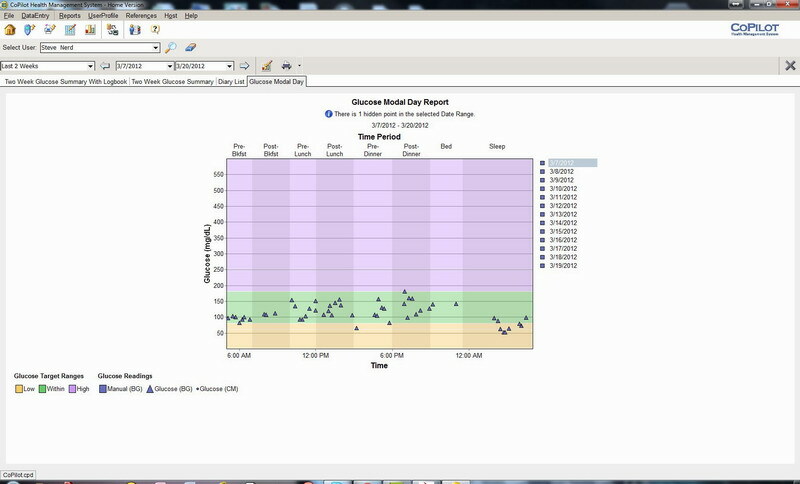 Once imported you have the option to view many different charts, each providing a useful visual representation of your glucose and testing patterns. 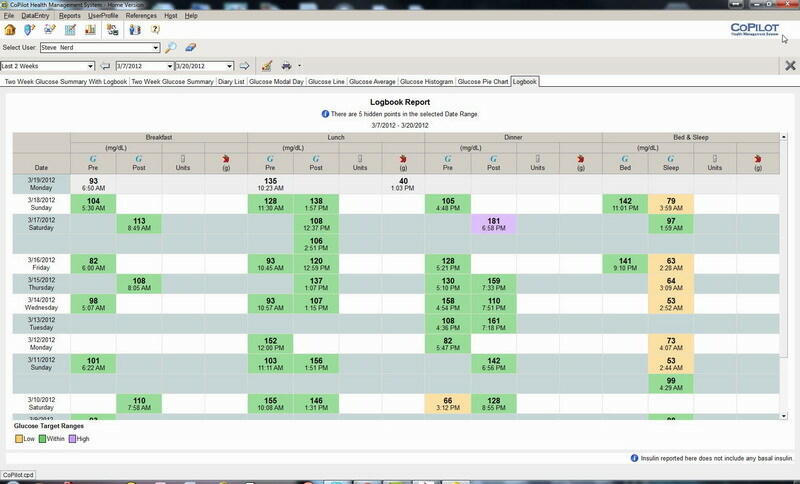 The Logbook Report is particularly useful because it provides a good visual record on how many times a day you are measuring and which times. Each day is on one line and you can easily see if you are taking too many readings or not enough readings at certain times of the day. 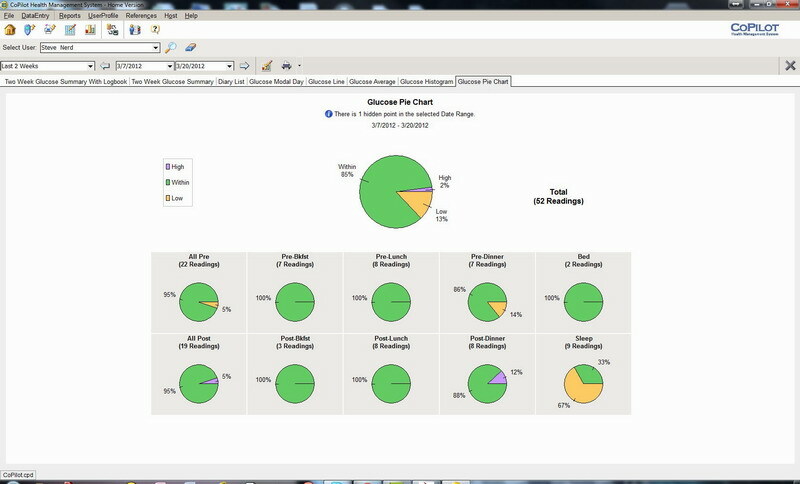 Summary reports combine a Modal Day Report with a Log and Pie chart. 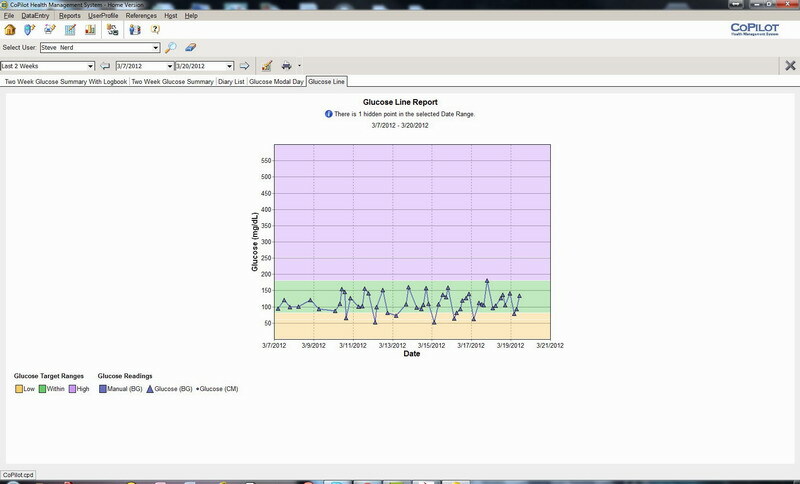 This is a good report to print and take to your doctor or diabetes counselor to give them a quick look at your daily blood sugar patterns. 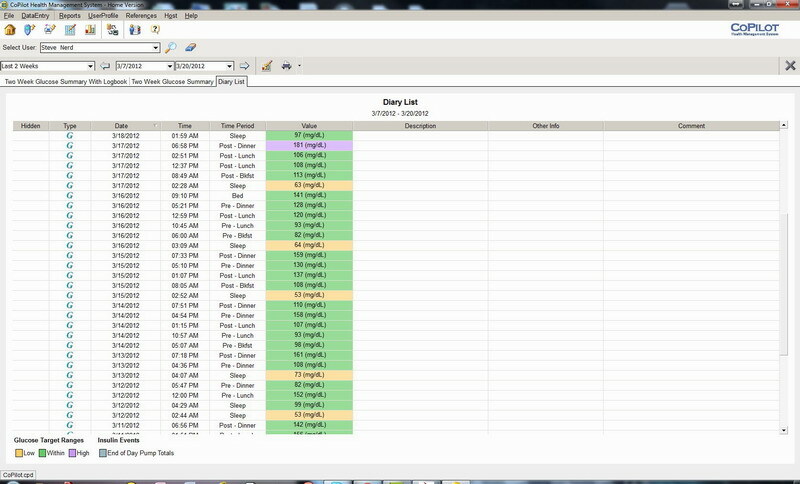 The Diary List is a master list of all entries in the database. To customize this report your right click on a column header and select Customize Columns. A small module pops up and gives you the option to drag in new column categories or drag existing categories away and drop them in the box. You might find this useful if you have data that is too long for the cell it is in which forces a word wrap and a taller line height. 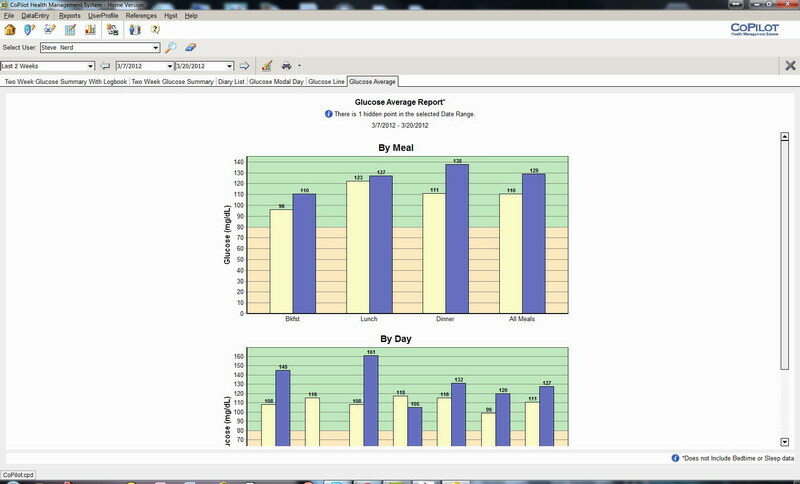 By removing unneeded columns your data can spread out and give a lower line height. If you have a long report this could greatly reduce the page count.